If you look at PS2 and DS sell-through in major markets you'll see that DS has outsold PS2 by considerable margins. It doesn't really makes sense to group LSI console or plug & play consoles with consoles with interchangeable software though. 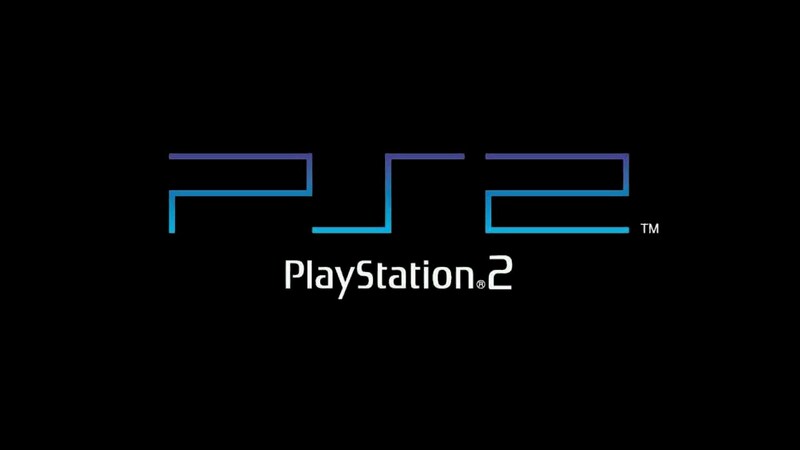 Technically PS2 finished in front just because Sony continued to sell it even during the entire PS3 generation, while Nintendo stopped as soon as the 3DS came in and they also stopped to track sales. I had one. It certainly was considered a toy-box, and not something for the growing adult market. Games like Wind Waker didn't help. And the look of that thing was hideous. Despite my dislike for the Wii, atleast it had a good design going for it. All those low gamecube numbers indicate is how under appreciated that system was. I don’t get why Nintendo is not adding the classic range. That’s around 9-10m sales. this doesn't seem to be something released by nintendo, some website just put the numbers together. Absolutely. We're ridiculously lucky to have Nintendo. I just look at Studio Ghibli to see the way that a legendary Japanese creative company can just completely collapse. I don't take Nintendo for granted at all. The thing that excites me most is that they're nurturing a new generation of in house developers, so they won't fall into the Ghibli trap of there being no-one to take over the reigns when older developers start retiring. Sega operated as a console manufacturer in a time when the market for consoles was smaller compared today and it never had the deep pocket of Microsoft. Also Sega released only one console that sold more than 20 million units which is a relatively low threshold seen by today perspective (but back in the '80s you could make a profit even with a 10M userbase because the overall cost associated to produce a console was lower). When the competition intensified and the costs to produce console increased due to high specs required for 3D graphics, Sega began losing a lot of money and in a few years went out of the console business (both Saturn and Dreamcast sold less than 10M units). I often found the comparison between Nintendo and Sega, supposedly because they were pure videogame company contrary to Sony and MS, a bit misleading because the two were never really on equal foot (it's apparent just by a quick look to financial statements and first party software sold). Because there is a big difference, business-wise, between a console that operate with interchangeable software and a console that it's one and done. It makes no sense to add the sales numbers of an anthologic plug & play console that run through emulation games of a legacy console with the sales of the original hardware. For the same reason it makes no sense to include Nintendo's "pong clones" and Game & Watch. Yes, this is it. I don’t have the numbers handy but it’s probably around 130-140m for pre-PlayStation hardware sales. It would tell only half of the story though. PS2 sold way more software than DS (or any console ever). Actually PS4 will probably pass DS (and Wii) software shipments by early/mid 2019. To be fair, that number will most likely drop for the years to come for Sony. The big gains Sony made towards the total compared to Nintendo have essentilay all been by the handheld Sony devices giving the edge over the usual Sony Console vs Nintendo Handheld+Console. Though with Nintnendo also looking like they will drop the Dedicated Handheld device eventually, the future is unclear. With a Vita 2/PSP2 looking very unlikely, the future is looking very much like it will be a battle between Sony Console and Nintendo Hybrid. And it looks like Nintendo Hybrid is edging it out over the Sony Console, at least if we compare Switch launch aligned with PS4 launch aligned. Is it? Genesis/Mega Drive was really the only Sega hardware that was a huge hit. Master System did decently, but both Saturn and Dreamcast flopped hard. Sega's time in the sun was rather short lived. Well i see a new trend here with BIG numbers of total consoles sold. Microsoft crosses 43 trillion of total eye blinks of their users when they play in xbox family consoles as of today. *40 trillion of them are in halo, gears, forza titles. Wouldn't they have already crossed this a year ago? 300m home consoles seems to be the big round number of note. So Sony sold more than double the amount of home consoles every year compared to nintendo. Always an interesting footnote that shows all else is never equal. GBA was cut down in its prime. It was clearly worth it in the end but makes its total look less impressive than it would havebeen otherwise. I always felt that the GBA came too late. Had they released it instead of the GBColor, I feel it would have had a more fulfilling life. Sticking with that GameBoy tech for nearly 11 years was kinda insane. As for the DS, I wonder if piracy didn’t make them want to kill the console? I had read something where in Europe, there came a point where barely no one was buying DS software because everyone had an R4 card. The DSi seemed like an attempt to stop the bleeding but it was too late. As for the DS, I wonder if piracy didn’t make them want to kill the console? I had read something where in Europe, there came a point where barely any one was buying DS software because everyone had an R4 card. The DSi seemed like an attempt to stop the bleeding but it was too late. That might be quite accurate, at least in Spain, most of the people I know used an R4 card for DS instead of buying software. Even people who weren't gamers previously or in to games. I surely played way more games than the ones I bought, especially by the end of the generation. Amazing how much hardware Sony and Nintendo have sold. Thats over a billion combined between the two. Hilarious how wrong so many of us were about the DS after we first saw it. Everyone kind of predicted what happened in consoles was going to happen in handhelds after we saw the PSP. The DS is one of the few times I can think of when someone made something radically innovative and different AND it had record sales. Usually in videogames the really forward thinking or innovative consoles (i.e. Xbox, Dreamcast, etc). are not rewarded with great sales. Most people just want the cheapest and most popular box to play the most popular games on it. It will probably happens because Nintendo stopped to release different hardware per segment (console and mobile)... if they were releasing two hardware like previous gens then Sony should never overtake them. Absolutely it was a factor. You know it's a problem when you overhear mothers in mainstream stores asking for "No, I don't want that Pokemon I want the one that has all the games on it for free!". The most maintream piracy I ever saw. Nintendo rushed to drop it and go all in on the 3DS as software piracy was huge. The DSi was also an attempt to curtail it but the piracy makers just made new piracy cards. Weirdly Sony were happy to keep selling PSPs which were used for piracy a lot too, maybe they just had better margins on the hardware since they made it themselves. And yet Nintendo - by their own words - expects the Switch to sell at a one-per-person basis in the near future. That's a statement they wouldn't have made if they didn't internally believe the Switch is part handheld. Nintendo was 50/50 on home consoles before the Switch between success/winning the generation and ranging from disappointing (N64) to failure (Wii U and sadly Gamecube). But if you look at their success rate since Sony came along, it looks worse. Basically, Sony was the first competitor who can beat Nintendo and established an even greater worldwide dominance. Nintendo could have probably beat up Sega for another decade or two if Sony didn't enter the market. It's hard to overstate how crucial the N64 and Nintendo Playstation events were, especially since Nintendo never got that third party support back even decades later (they can get decent at best support like the Switch, but a far cry from the NES/SNES days). And then Microsoft entered the market, and while not nearly as dominant as Sony, they still take away market share. But the bottom line is that when Nintendo fails at home consoles, they fail hard like the Wii U. When Sony "fails," they end up with the PS3 that sold more than the Wii U, Gamecube, and N64 combined. That is crazy to me. Of course, we are talking two very different companies. Sony is part of a much larger company that isn't focused solely on games, and they were able to cut the price of the PS3 in half and salvage the situation. Nintendo could have doubled sales of the Wii U if they cut the price in half (though it was never going to match Wii sales even if this happened because they product was still undesirable to the masses), but they would have to take a huge hit into their bottom line and they lacked other sources of revenue at the time aside from the underperforming 3DS. Sony had only one failure on the level of the Wii U in the Vita and they will probably never release another handheld as a result. If the PS4 had failed as well, they could have gone third party or gotten out the video game business altogether and it wouldn't affect their other departments. Nintendo doesn't have that luxury. They could have gone third party of course, but I think it's clear that console makers doing so has yielded poor results. Look at the struggles of Sega since going third party. I'm just glad that Nintendo found their footing with the Switch, the hybrid model is really genius, and I hope they continue it with a Switch 2 and never have a failure as big as the Wii U. The DS deserves every unit sold and then some. I never had so much fun with a handheld console, not even the GBA. It really boggles my mind on how Nintendo is more than a century old. They are basically a legacy company and are still going strong. Pretty damn good for a budget gaming company. I love Nintendo and will always buy their products day 1. But the bottom line is that when Nintendo fails at home consoles, they fail hard like the Wii U. When Sony "fails," they end up with the PS3 that sold more than the Wii U, Gamecube, and N64 combined. The PS3 is a much bigger failure if all is considered fairly. The Wii U made more money than the PS3, though granted it would be pretty hard to make less than minus five billion dollars. Nintendo achieved the status of handheld goddess, Sony has the edge on home consoles. No, the PS3 is a much bigger failure if all is considered fairly. The Wii U made more money than the PS3, though granted it would be pretty hard to make less than minus five billion dollars. Oh, I agree without a doubt. I'm just talking about failure in terms of units sold rather than profit since their is so much discussion about Sony selling more units per console, Nintendo selling more overall, etc. While it's true that Sony sold more per console, a lot of context is needed of how the companies operate. You're ignoring their external statements in favor of what you think the Switch is. Yeah, they're hoping that a lot of people buy it b/c it can be incredibly personal. But it is a home console by every official account. But the bottom line is that when Nintendo fails at home consoles, they fail hard like the Wii U. When Sony "fails," they end up with the PS3 that sold more than the Wii U, Gamecube, and N64 combined. That is crazy to me. Of course, we are talking two very different companies. Sony is part of a much larger company that isn't focused solely on games, and they were able to cut the price of the PS3 in half and salvage the situation. A more significant factor than what you gave is the competition the PS3 faced when Sony failed. Despite the Wii's success, it wasn't an HD console, which beyond just not satisfying people's thirst for true next gen hardware also made it cheap enough for people to have a secondary console. Then you have the 360, which coming off the OG XBOX, Microsoft didn't hold much marketshare, especially outside of NA and there were the RRoD issues. The PS3 managing to sell as many units as it did was a combination of Sony's marketshare from PS1/2, Microsoft's lack of marketshare especially outside of NA, Nintendo off doing it's own thing and a strong turnaround later in the gen coupled with Microsoft becoming lax after the early success of the 360. Even with all that the PS3 was a failure. That console deserves it though. The DS was such a monster. It probably won't change because Nintendo have a 10-11 year head start on Sony. Sony's numbers are impressive considering the time they've been in the games business and the amount of devices they have released. Also The majority of Nintendo devices have been cheaper than their Sony counterparts. Haven't the NES SNES and N64 amounted to 110 million? Can't see Sony ever catching up without a successful handheld either. But if that's how they want to sell it, then that's how they market it. If that's how they market it... what's the basis for saying "oh, it's great Nintendo stopped focusing on their consoles"? Yes, although it must be noted that the DS has the highest (almost freakishly so) attach rate for a handheld- in spite of the severe piracy it suffered from. They’re likely around the same in global sales, it varied more region to region. For example in Japan Vita sold double Wii U while in America Wii U sold triple Vita. I’m still shocked how little time it took the switch to outsell the Wii U. Every time I see these numbers, I'm actually very impressed at how the GBA did. GBA sadly fell off a cliff because of DS. I love GBA always and forever.